Young peope showing pride for Hong Kong! 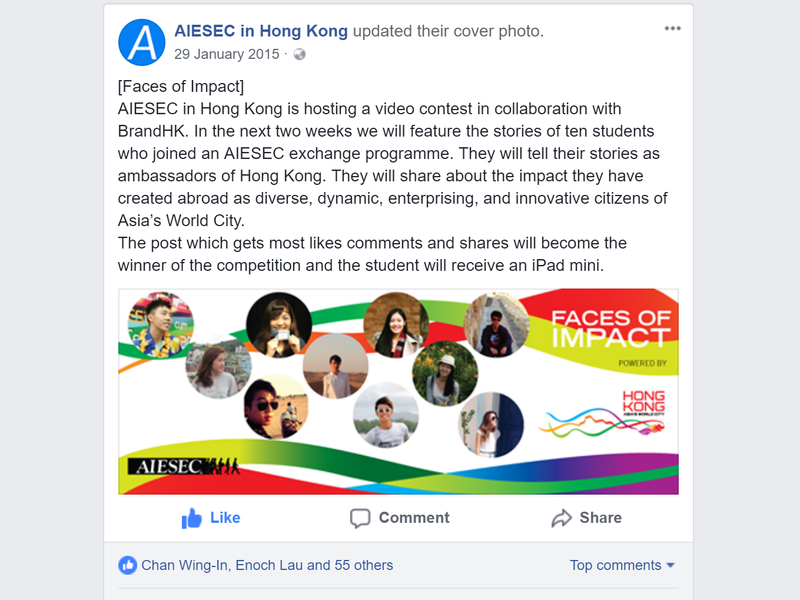 In an era of dissatisfaction and complaints, I developed a campaign of positivity for AIESEC’s partner Brand Hong Kong. The contest entries had to showcase their experience as youth ambassador. 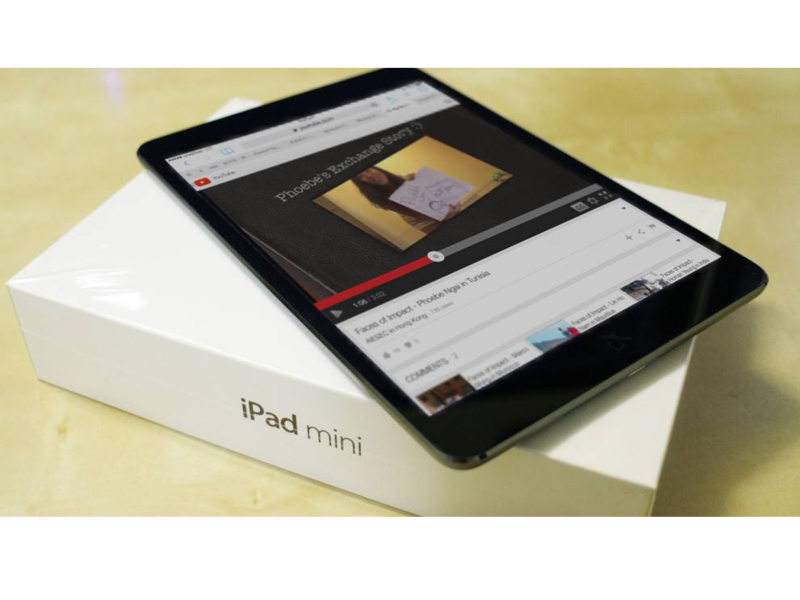 Every good contest needs a prize, so Brand Hong Kong kindly sponsored an iPad Mini. For the campaign I curated 10 videos, produced by exchange participants who returned from their overseas experience. The videos feature episodes from Hong Kong students where they represent Hong Kong as Asia’s World City abroad. The campaign was focused on Facebook and YouTube. 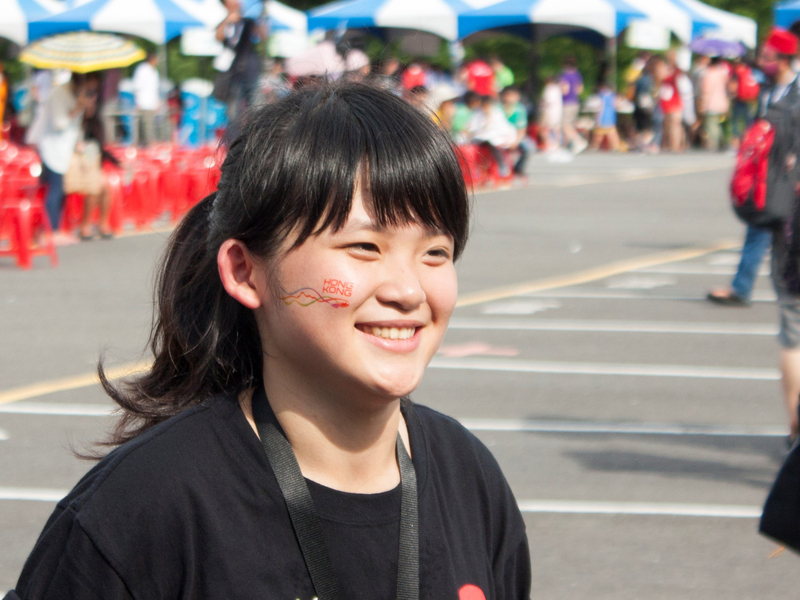 Additionally, AIESEC in Hong Kong showcased the stories on the website. 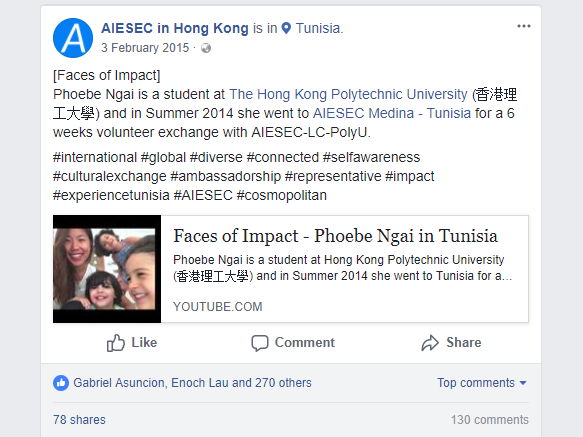 With 7,000 followers the AIESEC in Hong Kong facebook page reached out to over unique 50,000 users over a period of 25 days. Not only did a large audience view the posts, but also leave their comments and shared them very Frequently. The client acknowledged the success of the campaign by ordering a follow up campaign that was implemented a few months later via instagram.